Should Canada’s western provinces split from the east? 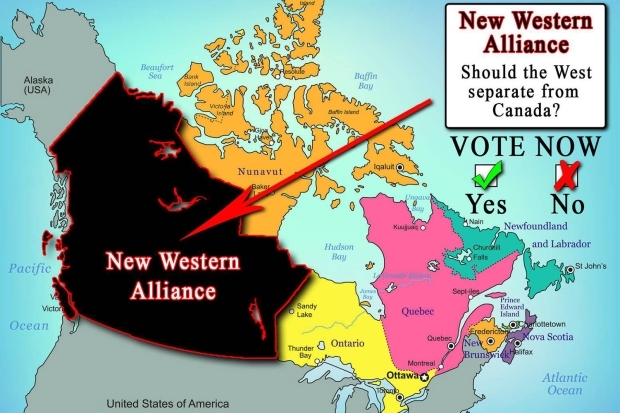 A new Facebook page called Vote Canada shared a suggested post that B.C., Alberta, Saskatchewan, Manitoba, Yukon and the North West Territories unite in a secession from the rest of Canada. The newly united nation would be known as New Western Alliance.